Are you finding yourself a bit too needy? Focusing on that need will only make things worse for you. Let go, find a new direction and allow it to help you heal. In general, when frog symbolism jumps into your life it indicates that now is a time to find opportunities in transition. In other words, the amphibian has arrived to help you swim easily through some tough life changes. Similar to the snake and the butterfly, this creature represents the creative energies of awakening and transformations. 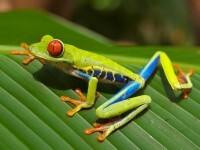 The frog meaning also represents abundance on all levels. Similar to the chameleon meaning, frog symbolism may also signal the need to enhance your intuition, and strengthen your connection with the spirit world. Thus, it would be a good idea to follow your instincts and trust your gut feelings on all matters. Alternatively, frog symbolism is also symbolic of coming into your power. Furthermore, this is done by purifying the soul, releasing emotional baggage, and coming from a place of personal integrity. Therefore, frog meaning reminds you that you should make all of your choices based on what is right for you. If you come across a tadpole, your message reflects that you are at a very creative and productive stage in your life. Therefore, you should be very careful with your thoughts and intentions because the process is very swift at the moment. People with the frog totem are great listeners and advice givers. They understand how to relate to others and always know exactly what to say. Like the dog totem, folks with this spirit animal totem have genuine empathy towards others. Thus, they will do their best to provide healing for those around them. They do this by helping others to release old negative energy so that they can cleanse and renew their lives. Folks with the frog totem also tend to stay close to home where their family is important to them, especially your parents. They will generally do everything they can to help a family member in need. They will also maintain close and meaningful relationships. When they have a tadpole as their totem animal, then they are full of untapped resources. These folks are continually in a stage of metamorphosis that never seems to end. These people continuously make and then remake themselves. Similar to the rabbit, it the animal in your frog dream is leaping, it may suggest that you have a lack of commitment in your life. Thus, you are continually jumping from one thing to another. When you are trying to catch this creature in your vision, it may mean that your life is changing rapidly. Consequently, you are trying to stop or prevent the changes from occurring. 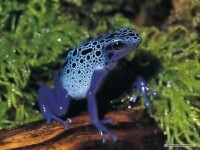 If you kill this creature in your frog dream, it represents negative emotions. In this case, it would be a good idea to release these feelings before they cause you harm. 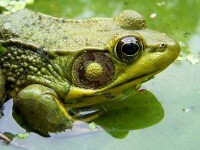 If you swallow this amphibian in your dream, you are most likely holding back saying something that needs to be said. Alternatively, you feel that something is preventing you from expressing yourself. When a tadpole comes visiting in your dream, it represents new beginnings. In other words, you will soon find yourself immersed in new relationships and projects that will abundantly come to fruition. The last some days I was sawing a frog near my bathroom and yesterday i wiped out the frog…but today night time 3.30 I feel something is on my face and i instantly wiped them and saw this was the same frog….. i copletely feard so plesa help me to know about this incident. Earlier this week I discovered a small frog underneath my doormat. My entryway is at the top of 10 stairs. I left it for a few days thinking it would leave. It did not. I don’t have water or foliage outside my front door so two days ago, I Collected it in a jar and took it around the corner of my building near some bushes and grass and Let It Go. I returned from spending time with a friend was in labor this morning at 5:30 a.m. And the Frog greeted me outside my front door. Amazing. I guess I now know what my spirit animal is. Today I was half asleep or so and I’ve could’ve sworn I saw these two tiny frogs on my sisters back but my vision was mad blurry and I remember that I wanted to wipe them off her back,Can someone explain ?? I just randomly had something move from the corner of my peripherals and it looked like an object fell from the ceiling and I went over to the corner of the room where I was looking and there was a baby frog. Sounds crazy as hell but I know what i saw. I found one a few days ago as well and let it go and they both appear similar in appearance. Idk how the hell either of them got inside. While sitting down in a quiet cafe i saw a frog staring at me from opposite roof top. I thought i they decorate their roof top with frog statue. Yet when i relook again half of the area covered with leaf and there’s no statue there. I thought i see wrongly but non of those looks like frog to make me see mistakenly. Is there any sign for it? Im 20 this year and I keep hearing a frog by my bedroom window and nobody else in the house can hear. When Im walking around I can hear them croaking. Hello my own case is quite difference, I saw frog in my bedroom very closed to my bed jumping up but immediately I struck it with hammer and it eventually die. Sir/ma my concerns is this how doest it really got to my bedroom? And what was the spiritual interpretation to my life career. Thanks. Hello to you I had a dream that I was sitting with some friends in a garden and a black bullfrog came from no where and crawl on my right foot I was so scared I jumped out of my sleep kicking my foot. can you interpret that dream for me please? Tsikara’tanya’ks, Frog, speaks of Purification and Cleansing. This can apply to the body, the mind and the spirit. The Jordan Peterson meme of “Clean your room.” can be taken literally when it applies, but it can also be taken as advice to Clean Up Your Life. Clean Up means getting rid of and letting go of those things that are cluttering and unnecessary. But it can and almost always should be applied to ourselves first. My Grandmother, My Memaire, would often say that “Before you start trying to clean other people’s houses, you should clean your own.”. We clutter up our minds and clog our ability to think clearly with things that we place importance on, which are not actually important. We use terms like need when we mean want. We say that we are starving when we are merely hungry. We decide that things must be done when they are not actually immediate or necessary, which can lead us to ignore those things that are. When you die, and you will die, it won’t matter to you how much money you made, what stuff that you owned, or even if other people liked you or loved you, because you can never be certain of those things. What will matter is what you did. Did your actions do harm to others, to the earth itself, did your actions help or did you take no action at all? If you have done the right things in your Life you will Know that you mattered. Why wait until you are about to die to change that? Why not Clean Up Your Life now so that if you died tomorrow you will know that you lived a good life, to know that you did something rather than playing it safe and never doing anything at all that matters? Tsikara’tanya’ks, Frog can be an invitation to Purify your life, to be good because it is better to be good, not so that you can judge others. Clean your room. Clean your house. Clean your Life. And, like Tsikara’tanya’ks, you can live in many worlds at exactly the same time, because you Live whatever your Life happens to be in the best way that you can. I have never seen a frog until today coming home from walking my Timber Wolf. It was just sitting in my path, huge and green. Earlier today I decided to look for another job, ignore negative people and negative things of all and start living my life for my own happiness. Very odd this frog was in my path, I made him hop into the woods for safety. What do you think this is telling me ? Frog, Tsikara’tanya’ks, speaks of purification, not just of body, but of spirit. We know now how terrible it is to pollute our body with things that are not natural to it, or with excess of the things that we know are good and not enough of the things that we know are bad. We understand that empty calories are bad things for our bodies. But what about empty thoughts? What about the things that we put in our mind and that sink down to our soul? What about all the unnatural and unhealthy things that we feed our spirits, things without substance or things that we know are unhealthy to indulge in on a daily basis? What about all the noise that we expose our minds and spirits to? Frog reminds me that I need to become more aware of these things and take the time to clean out my body and my spirit, and that today is as good a day to do it as any other. Frog, Tsikara’tanya’ks, is a very powerful symbol of purification among most native tribes, including the Haudenosaunee. I have working very hard at cleansing my body and my spirit of late. Tsikara’tanya’ks has profound meaning for me. Interestingly, a friend has been forwarding Jordan Peterson vids explaining how he came to be associated with Frog, a perfect association, considering the steps he is taking. And it is a sign of who he is that he has taken what many considered an insult and found the positive meaning in the idea. And his message “Tell the truth.” has been resonating in a strong way for me. Tsikara’tanya’ks, Frog speaks of purification. I’m on a 48 hour spiritual Fast and today is my day of Spirit Walking. Tsikara’tanya’ks seems to be calling for me to clear out all that I have been carrying with me for no good reason in order to make room for today and for tomorrow. This is a wonderful sign! Frog is communicating in such a way that he is literally, in your face! It is a Happy Birthday gift from spirit. 🙂 You now embark on a new journey for the next phase of your life. Congratulations! I had a dream that i have a frog in my hand and suddenly i jumps down, then i rush to catch it and i catch it. It happens multiple times that i catch it and it jumps down and again i cind n catch it. Every where I go is see a frog. At work, home, and at fiends house. whenever i go outside to sit on porches or just walk around. I see the same frog over and over. I call him Charming, its a name that suited him for some reason. Days after i moved out of my parents house, my mother called me and told me that Charming was dead on the welcome mat right outside her front door. I went months without seeing him or any frogs, till one night i was at work and saw Charming right by the front. He started showing up again. I thought i was going crazy seeing frogs and charming everywhere i go, but was weirder when my family and friends see them around me all the time to. I had a stranger tell me that frogs showing up in any form or fashion means Fully Rely On God. I have many frogs hop into my house (I show them out kindly), sit on my doorstep, and chirrup when it’s going to rain. I think of it as a reminder to let go and let God. All is well. I am very pleased and comforted when I see or hear them. two beautiful red eyed tree frogs. I felt warm and peaceful at the garden filled with turtles and tree frogs. So earlier today i was taking a nap…all of a sudden a frog comes. outta the corner of my living room i was afraid of it so i told my son to catch which it was a struggle but he ended up getting and it got lose so we decided to open the door and it took off…and thats when i woke up! I was babysitting someone’s kids I knew and after they left on my coach looking at me was a Huge! yellow/orange and black frog! I was amazed when I stared at him then all of a sudden it started hopping towards me like a giant coming towards me but I closed the front door on him I instantly woke up! What does that mean? This morning, I dreamt of a frog running (or hopping) after my mom & I. We ran to the room and called my mom to follow then closed the door. The frog was left out but was still madly hopping against the door. The frog seemed so strong since everytime it hops towards the door, the door shake as I block the door from inside the room. The frog almost got through the wooden door, but I held like a cardboard-thick wood and stopped it, so it was left out still trying to get in. I was awakened by this and hit the headboard with my hand/arm (man, it hurts, really! ), as if it was the door that I was blocking. When I woke up I started palpitating as if it was real. What does this mean? I had a dream that a very small frog was getting cold and was going to die. So I placed it on me and let it stay to warm up. As it warmed up it got bigger and wouldn’t leave on its own. I even noticed I had some tattoos on my body that look like the same markings of a frog. I loved this frog like I would a pet and I also kept it as a pet. I would like to know what this even means as I’ve never had this kind of dream before. There was a frog that was killed, but then I somehow managed to bring it back or it was dying but then I saved it. The person who killed it didn’t like that, and so I tried to keep the frog. The frog grew bigger, and it needed a large space to live in. The person that didn’t like the frog said, “I’m sorry, but it’s time for it to go,” and stabbed it with a knife, killing it before I woke up. This bizzare night i have always wondered what it meant? Three days before my first/child son was born, it was after 9 pm and as i walked out our place the entire ground from the of the building we lived at was completely covered with tiny frogs and they did not move when we walked to our car. The strange thing is that only our building had the frogs and they kept making their noise all night long and the next morning they disappeared. The day my son was born we both almost died and when we left our place with the paramedics it started hailing golf size ice balls. I would like to know what is your perception of these events as they occured? For the last 5 nights in a row, I let my dog out to pee around 10pm. All 5 nights there was a frog at the bottom of my steps. Not moving. At the same time, in the same place. The same frog. Sitting there. I know it had to feel threatened with both me and my dog there, but yet, it did not move. What could this mean? I’m very spiritually intact, and have strong vibes and beliefs in what comes my way. But this one has me baffled. A funny thing happened tonight, a toad crossed both me and my friends paths when we were walking up to our doors. It must be a sign cause that is kind of odd.. I dreamt that my was trying to catch a bright small frog. He leaped from the floor onto my bed. But right before I woke up I couldn’t catch him. What does that mean or symbolize. The frog that I dreamt about was small and bright green. In the last week and a half I have found on three different occasions a frog in my home. Once in the dining room and twice in the living room. I am afraid of frogs for some reason. Can someone explain what the meaning if any of this. Is it a good thing or a bad thing to keep finding them inside the house. I’m not sure if it is the same one or not. My husband died almost 7 years ago. I have felt life has been a standstill since then. Whenever I see a frog I think of my husband (maybe because he was awesome at catching frogs). Well within this past month when I go out to walk the dog at night I get greeted by a frog (at least 3 times a week). He is either in the driveway or sitting on my walkway. Tonight he was sitting at my front door (and my late husbands cat was sitting about 2 1/2 feet away). I am trying to figure out if this is a sign I am missing? I see him so often that I am surprise I haven’t stepped on him considering it is dark out. Is this normal for a frog to always be hanging out in front of my house? 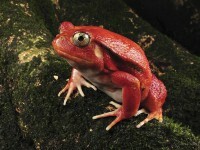 I dreamed of a frog with lips screeching and shooting weirtd painful things out of its mouth, and it really scared me! The frog is in general a good symbol and a bringer of good fortune. The frog in your dreams has lips, this is telling you that someone who is close to you; perhaps a friend or work colleague, who you trust is not what they seem to be. They are set on undermining you by words, action or deeds; maybe a combination of these things. Watch carefully and look for evidence however small, store it away don’t act on it as you may find a false trail. Patience will help you build your evidence and allow you to act at the right time. This frog is a good omen but it brings a warning to be aware of one with evil intent. Love and Light. So I have been on a spiritual journey during this time in my life and hoping to find true happiness and peace. I’ve been reading lots of things online to help guide me and I stumbled across an online quiz on how to find your spiritual animal. Website was nonsense (will not list the url) because it just didn’t make sense with its questions and the answer I got was a cat… Furthermore I did not connect with its answer and so I had brushed it off. Went onto another website that gave enough information that lead me to believe that all information made sense. It had mentioned about the spiritual animal picks you and sometimes it will come into your dreams. That same night after meditation, went about my business and decided to sleep right at midnight. All I remember in my dream was a huge frog, looking right at me with its left eye. This was no normal experience I had in my dream, this was a clear, vivid dream that I had of that frog and i remember in my dream it being in the forest of some sort. This frog was not small, it was humongous. I believe that I wanted to know so badly that it actually came that same night I read it! This world is filled with spirits and powers and if we just open up our minds, and I mean become aware and awake, we can truly see the powers it can reveal to us at the right time. Peace and Love to all! Jah Rastafari shall provide the bread, ya’mon! My 15 year old son passed away in may. We buried him the middle of may and i visit his grave 1-2 times a week every since. One thing i have noticed every single time i visit his grave is a frog. The same frog is always by where his head lays… what does this mean? Its been over a month and again when we visit that frog his there. I find that amazing. Hi, Ive just had a very special encounter with a frog this morning and was looking for an answer and came across this site. My dog died this morning of old age he was 13 and he was my first dog and been with me since I was 16 so it was a big loss. I took him to a nice spot on the hill to bury him and as I was digging his grave a big yellow frog appeared and sat there about a foot from the grave, he stayed there the whole time and never moved. I sat down after just to have a moment and the frog still sat there, I walked away after and it was still there. On the 7th June I also lost a special friend who was my like my idol and a huge influence on my life, Ive read that in celtic folklore the frog is a sign of healing and can only believe that this is what the frog means to me. My condolences for the passing of your dear son. In regards to the Frog at his grave site. Perhaps the “Frog” is indicating that your Prince (ie son) is alright. I’m not recommending that you kiss the frog. Although the mirage of the frog into the prince. Would here parallel to the mirage of death is just that he is I’m sure at peace. It would be the living that would trouble him, if the sadness became destructive in nature. Just be certain you’ll dream of him again and I’m sure you’ll feel his presence always with you. I was laying in bed and shortly after 12 I noticed a frog jump. He was beside my bed he only jumped once, I didn’t notice him before the jump and there is no way he could have been living in my room. I don’t know how he appeared in my room but I believe it’s a sign. I took him outside and released him. Most frogs try to get away or pee when u plau or grab them. This frog did neither he was calm and allowed me to grab him and set him outside like it was just another day in the park. So calm and relaxed. I’m in a very difficult/dark transitioning period of life at the moment. I can’t seem to get hired, I was recently divorced, I have no one that I can talk to or even relate to in the house that I’m living in. I feel lost but this frog has appeared out of no where and some how given me a sign, or am I looking for a sign, I do not know. Has anyone else experienced this? Yes……I have. A friend stayed a nite at my house and the next morning when I woke up, she came to me tellin me that a frog was in my front room on my lamp shade. I thought she was joking but she had actually took a picture of it. I didn’t understand because the lamp it was on was a 6ft tall lamp with a very skinny half a inch pole. So I looked for the frog everywhere even moved furniture around but I could not find it. Now Ive lost my place and im homeless, wife had gone and not came back, and for some odd reason. ……….. I’ve been thinking about that little frog that was on my lamp shade that appeared from no where. If anyone could tell me anything about this. ….I would appreciate it. I dreamed that a frog and a lizard were put down my shirt. I am very scared of both. What does this mean? I dreamed of a frog staring directly into me. What does it mean? That’s quite interesting because my dream was very similar. The frog was humongous and his left eye was staring right into me and all I remember was being creeped out because I didn’t know why it appeared in my dream out of no where and then my dream jumped to a different scene. I do believe that dreams are messages and if we write them down every day your dreams can get clearer and make more sense so i do believe that the frog is our totem animal. Blessings my dear. Twice within in the last week a frog jumped on my windshield as I was driving. They were very different frogs. Fortunately, both times I was able to stop close to grass and trees and make sure neither was hurt. I would have been very upset if one jumped off my vehicle in traffic. This really has me puzzled. I’m retired so I don’t drive every day. Yet I really feel good about this as I have had some challenges recently and maybe things will change. Something very cute, and unexpected happened to be tonight. I got up at about 3 am, because my dog wanted to go outside. I let him, out and back in. Since I was downstairs, I got myself a late-night (or rather, very early-morning) snack. I sat at my kitchen table, eating when out of the corner of my eye, I saw movement. I thought it might be a moth. But, the movement stopped. The creature was still, and sitting on my kitchen floor. A tiny tree frog. I actually watched him for a bit, still a little surprised, but then I walked over, and scooped the fellow up gently in my hands. He wasn’t that afraid of me, and when I walked outside to set him in the grass, he wouldn’t jump out off of me at first. But, of course after a moment, he found his way home in the grass. I went in and washed my hands, and I couldn’t help but feel he was telling me something. It was so bizarre. The door was only open for a few brief seconds while I let my dog inside, so he had to have been fast. And, I found him rather than one of my family members. I just got the idea he had a message. It nice nice to come here, and get an idea of what that message is. Thanks! Dream of a bright green, smooth skined front (bull frog size) tree frog like feet…it was jumping toward me and latched on to my finger….Me, NOT being a fan of frogs pulled it off and put it out the door…it had jumped in a bucket full of mud like substance before latching on to my finger…what could this be saying? I am founding a frog hoping near my door….what does this mean???? I have found 2 dried up frog inside my house shriveled up like its been like that for years the first time I found it I threw it away in the trash can and my son threw out the trash right then and there. The second time I found a frog which look like as if it was the first frog. Is there something I need to know about finding the right up frogs do they mean something am I supposed to be worried because I do not have frogs I have never seen frogs the only frogs that I have seen are those to which look exactly alike. It kind of freaked me out because the first time I found one it was right next to my kitchen stove and I sweep and mop every day so I don’t know how it got there the second time I found one it was on the floor on my husband side of the bed. i saw a bird like frog in my dream which was trying to fly or jump on to my face right from front side, i was a little scared and startled and trying to throw it away, what could the dream signify? i love reading and learning from this website ! as others have mentioned, and asked: what if we see frogs in real life ? today was the second time ive come across a dead, seemingly dried out frog body. the first time the poor frog body was right outside of our main door, right on the welcome mat. i inmediately knew it was odd. today while out for a walk, there was another right there on the driveway. both were dried out sort of hollow looking ? if someone could share some insight about this it would be very appreciated . may god protect us all with his love and light . Figure out how it’s getting in. I dream went to visit my family back home. n we went shopping and then we started walking downtown and we were. Closed to the corner of the street and and all of a sudden i can see a white beautiful white rabbit and so i went to buy it he gave me food and a cage for it and my brother just said out loud “look at those three huge frogs on his bed ” and i only seen two… and we left the store with the rabbit and my brother had a bike n put the rabbit in front on the bike and he rode off with the bike with the Rabbit in front of the bike.. and i was so happy . I don’t understand my dream. . I am a frog so, of course, I LOVE your website. My personal assistant, who happens to be human, knew that I “hopped” into her life for a reason. And your beautiful explanation of what frogs mean, has proved to her that I am much more than an adorable face! Thank you so much. Namaste. Read the first part above dreams about Frog hopping into your life. Love your site. I am an intuitive medium and when I’m teaching others to develop their intuition I am constantly reminding them to seek guidance from animal messengers. This is one of my favorite sites. Thx again! I had a dream where My father brought home two frogs (like the size of chickens) for me to cook. When I cut open the frogs, there were small developed frogs inside? What does this dream mean exactly? On my mother’s birthday every year forever, A frog or two would show up for the whole day and hang about. It was like clock work every year. We would wake up in the morning and there would be a frog sitting on the stoup looking up at her. Ha! Ha! Very endearing. I dreamed that I was outside near my herb bed and I saw alot of really tiny frogs and then 2 larger ones coming out from under the stones around the herb bed. I had a dream where a large green frog flipped entirely over in a circle. It then proceeded to lead me through a stream in a forest. The movement of the frog flipping over in a circle seemed very important but I do not understand it. Ok I had a dream of a angry frog leaping at me.. I was able to feel its anger. It stop and I try to focus on it trying to release it anger. Befor that I was on a deck it was fall type with leafs 2 garden snakes past me. I turn around and the frog started jumping at me with anger. What do frogs mean to you? It might help to come up with a list of words you associate with frogs and to think about where frogs have appeared in your life. It may help to also think of what snakes mean to you. Keep in mind that snakes eat frogs. What are you angry about or what angry people have you encountered? If the frog could talk, what would it tell you?